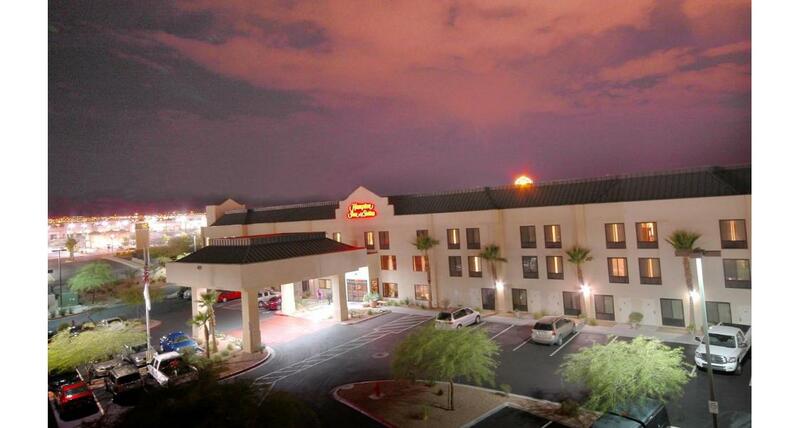 This Hampton Inn is in a prime location in Henderson that includes numerous dining options and several shopping centers. This affordable, comfortable hotel has lots to offer business people on the go, starting with over 90 rooms and suites, which come with microwaves, refrigerators, free wireless Internet access. The spacious Hampton Inn studio suites have bar sinks, sleeper sofas and a work area with an ergonomic desk chair. There are also meeting rooms, banquet facilities and a business center equipped with fax and copy facilities. All Hampton Inn guests receive a full complimentary breakfast and have access to an outdoor pool, hot tub, fitness room and laundry services. 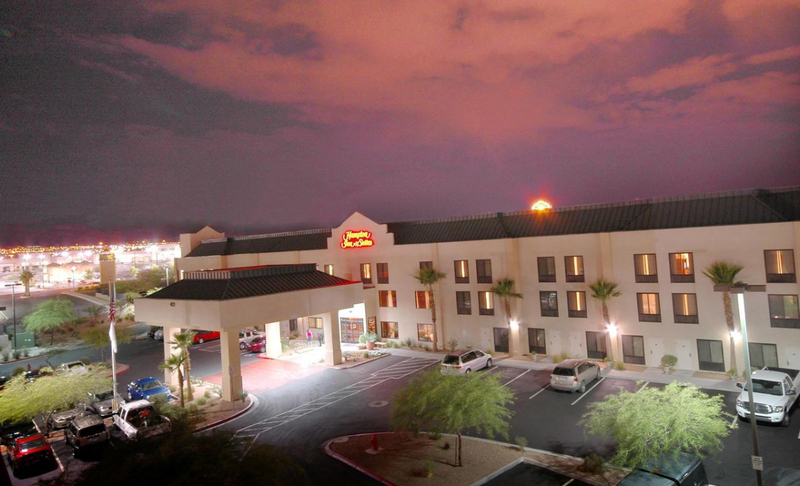 The hotel is short drive from the top attractions in the Las Vegas area, including Lake Mead (22 miles) and the fabulous Las Vegas Strip (15 minutes).